A little sweet, a little heat, these sticky little appetizers that will be devoured by everyone at your party. 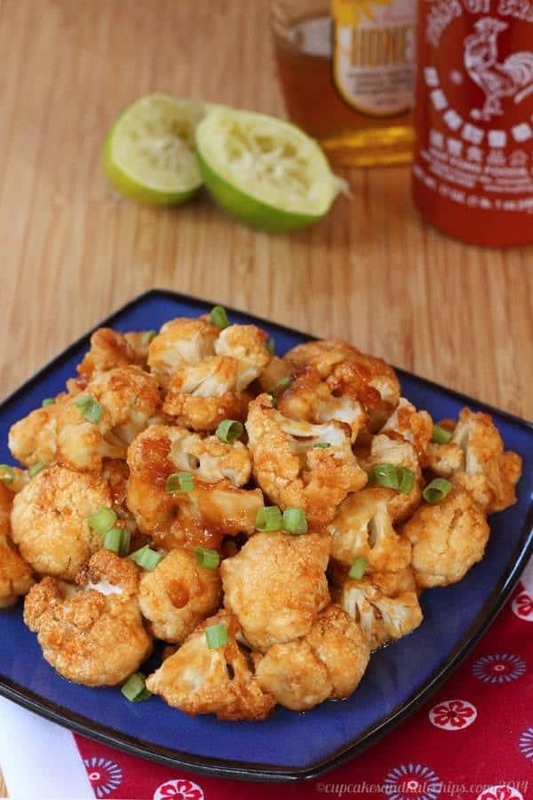 Honey lime Sriracha glazed cauliflower bites have a little sweet and a little heat! These sticky gluten free appetizers will be devoured by everyone at your party. 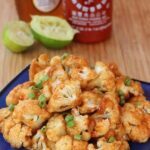 For a fun new party or tailgate appetizer, whip up a batch of Honey Lime Sriracha Glazed Cauliflower Wings. Here’s the thing with being a food blogger – you really have to have thick skin, a good sense of humor, really high self-esteem, or some combination of the three. I mean, I know it’s not rocket science and we aren’t curing cancer. We aren’t serving the country or educating the youth. I spent enough time on critical path for making sure patients in clinical trials got their HIV medications, coordinating all preparations and activities to ensure safe handling of substances such as the deadly sodium cyanide was handled properly, and planning site visits through Europe and Asia for multifunctional teams that often meant being on a plane or train nearly everyday for a week or two in order to set our outsourcing strategy which was essential for ensuring supply of pharmaceutical products to the market to be able to put things in perspective. I mean, I make food, I photograph food, I write random musings, I Tweet, I Pin. Nothing Earth-shattering, but, like my fellow food bloggers, I take pride in what I do. I’ve created this site, this brand. I’m making a little extra money for my family. Some bloggers rely on the income to support their families. It may not be changing the world, but it’s important to us. But since we are putting ourselves out there, we get criticism. It happens. We have photos rejected, companies and PR reps turn us down. People don’t like our recipes. Sometimes they take our recipes, change every ingredient, hate it, and still tell us that we are terrible and don’t know how to cook or bake. Sometimes they claim to hate us. You know, because this person uses Cool Whip and cake mix, or that person put a tablespoon of vodka in her popsicles to prevent iciness (yes, one tablespoon in the entire recipe that made six to eight popsicles, not in each popsicle) and then let her kids eat them, or “are you sure that the zucchini in that photo is non-GMO?” (umm, are you eating the zucchini off of your computer screen? If you are, I think you have a bigger problem.). Or publishing a recipe that includes peanut butter is irresponsible to all the kids out there with allergies, so we should all stop using it. Period. Or we can’t create a gluten-free, vegan, low-carb, organic, paleo, nut-free, sugar-free, fat-free, unprocessed, raw, sustainable but suuuuper delicious version of Pioneer Woman’s Knock-You-Naked Brownies. With bacon on top. And while it’s these kinds of comments that stick in our heads, really, we get wayyy more supportive and sweet comments. We all really love our readers, and it is this feedback that keep us going and doing what we do. I get sooo excited every time someone tells me they made one of my recipes and loved it. After two and a half years doing this, I still can’t believe people come to my blog, read my nonsense, look at my photos. I am in shock that I spend time creating recipes that people out there actually make. And like. Even when I get negative or constructive comments, it pushes me to do better, or at least to clarify things to make sure the recipes turn out as good for you as they do for me. But on days when I am feeling down on myself, I sometimes gobble up a plate of “wings”. My choice of the day: Honey Lime Sriracha Glazed Cauliflower Wings. First, OK, so yeah, I call them “wings”. Well, they aren’t meat. I know they aren’t meat. But the first version I made, the sesame ones, really looked like wings, so I started calling them that, and I’m just going with it. Mmmmkay? Second, some people are expecting them to be more crispy. They don’t end up super-crispy. 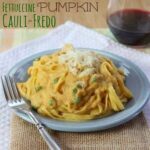 You could cut back on the cooking time to keep the cauliflower a bit, shall we say, al dente, but then the coating won’t be as crisp. You can also cut back on how much sauce you pour over the cauliflower while it is baking, and save it for dipping while you eat. But all three recipes are a little soft and sticky. We do tend to eat them with a fork, as opposed to finger foods. Well, except for The Bug, since he thinks everything is finger food. Just trying to be like his baby brother. Go figure. Another thing to make them as crispy as possible is to bake them right on the baking sheet which you coat with oil or cooking spray. That does end up kind of messy, so you just have to decide what you want. This batch I baked on a Silpat and while cleanup was easier, they weren’t as crispy on the outside. Although that may be because I made them early to photograph in the light, and we ate them later. But I do think I prefer the baking sheet and then deal with the cleanup. The trick to “glazing” them is to bake them for a bit with just the batter, then pour the sauce over and bake a little more to start to reduce the sauce, toss them a bit to re-coat them, and finish baking them off to finish the glazing process. Now on to this new version of “wings”, Honey Lime Sriracha Glazed Cauliflower Wings. Yum, people. Serious yum! They aren’t too spicy, but there is a little kick, which is balanced by the sweetness of the honey. 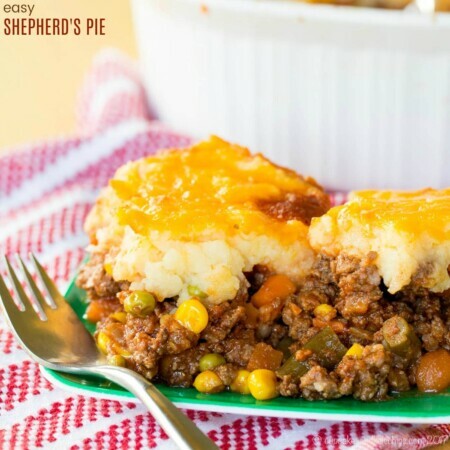 Add in a little zing from lime and there is just so much flavor going on! I swear I need to just start making double batches of these wings, because they disappear so fast! And clean, messy, crispy, soft, whatever, I still think all three varieties taste fabulous! Fill in the blank to create your own mantra – KEEP CALM AND _____ ON! Remove from the oven and pour the sauce over the cauliflower (see Note). 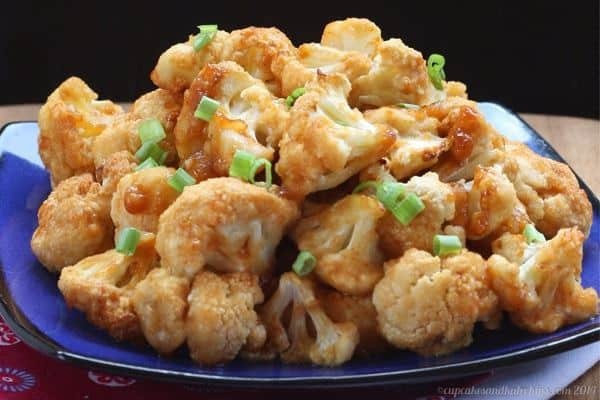 Remove from the oven and gently flip and toss the cauliflower in the sauce on the sheet. 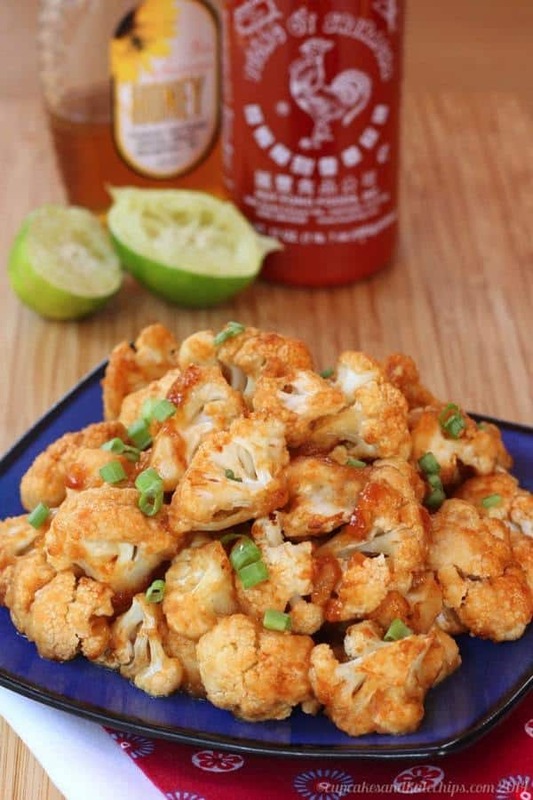 Place the cauliflower on a serving plate or bowl, and if desired, sprinkle with scallions. 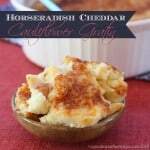 You can hold back some sauce for crisper cauliflower and use it for dipping. 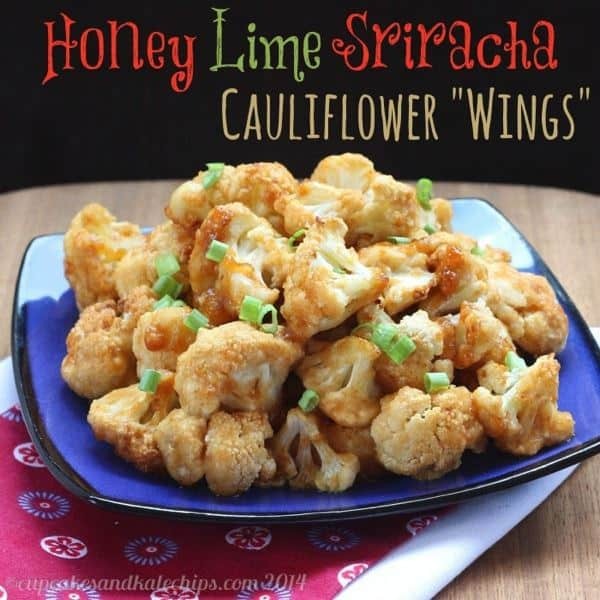 Want some more crazy cauliflower recipes like the Honey Lime Sriracha Glazed Cauliflower Wings? I’m so glad you enjoyed the wings, Ryan! 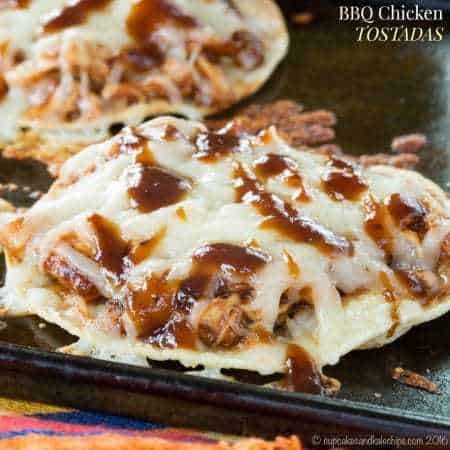 I made these tonight for hubby and I as an appetizer to enjoy during Friday happy hour after work. We both loved them! I like really spicy wings so added a few extra shakes of sriracha. The only thing I did a little differently was to pop them under the broiler for a few minutes to make them nice and toasty looking. Great recipe. Will definitely remember this during football season! Oh geez! You know, we all do our best. I have always wanted to make these, and I going to try my best this weekend! I am a believer in moderation, especially with food. Eat healthy but don’t deny all things, that sort of deal. 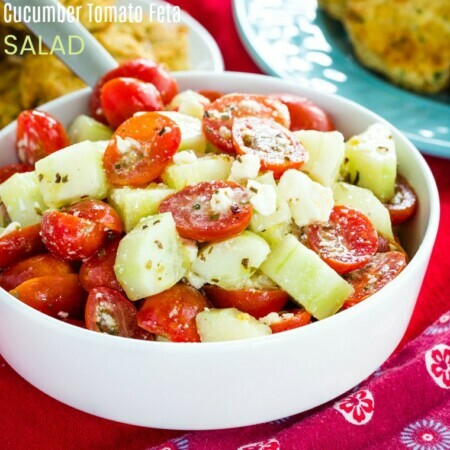 I LOVE recipes for veggies!!! I have made buffalo “wings” but I cannot wait to try your recipe!! My eldest bear likes the battered cauliflower without the buffalo sauce so I am hoping this saucy recipe will win him over. Thanks! I love your post, thank you for sharing your thoughts. I’m from ‘way back when’ and no stranger to weird comments. As bloggers we all have a brand and our own style of cooking/baking and entitled to share our creativity. 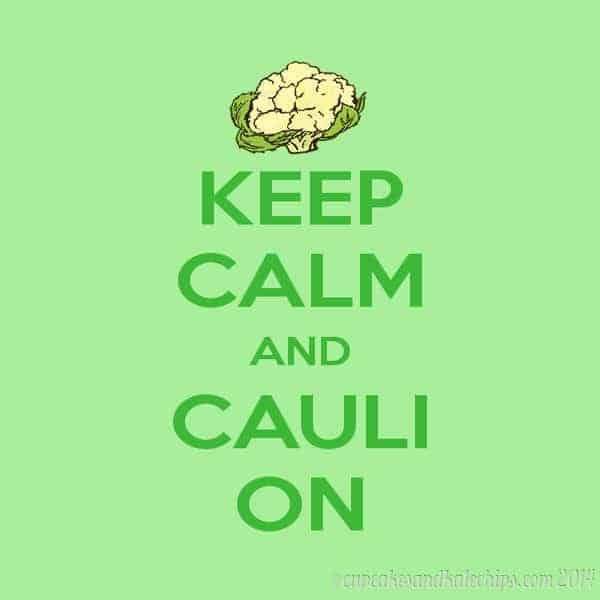 I’ve made many cauliflower recipes that I know my family would ‘at least try’ because the flavors are what they like and that is what is important. Keep Calm and Blog On! and thank you for sharing your recipes. I do not typically do nutritional calculations, since it can vary by brand. But you can plug in the ingredients you use into an online calculator. Also, if the spiciniess doesn’t bother you, you could cut down on the honey. Ditto to everything you said about food blogging! Truth! 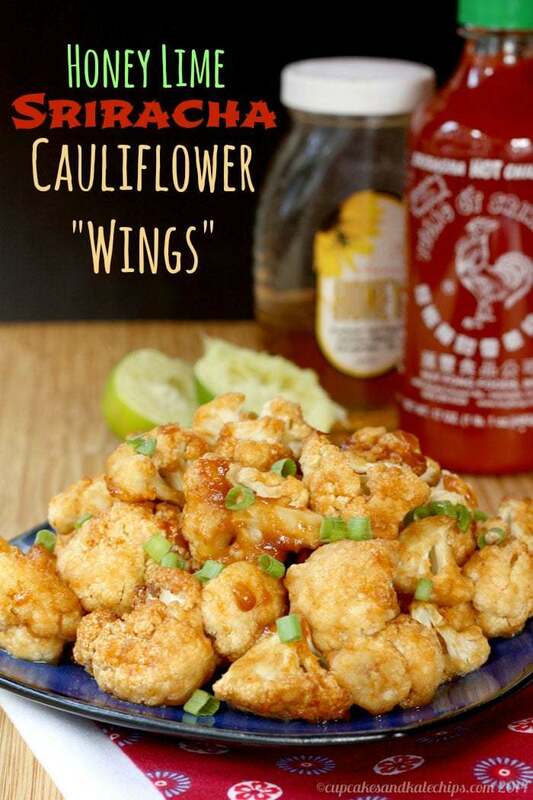 I think I’m the only person in the world that doesn’t eat wings, but I absolutely love the flavors they come in and love love love cauliflower. 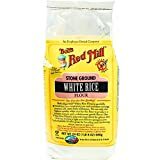 I can’t wait to give these a try, and then try your other flavors, too! The blogging world is so funny! And I don’t eat wings either! This looks delicious! I love roasted cauliflower, but I’ve never done it with a batter and sauce. I saw a recipe for buffalo cauliflower that was similar a while ago and meant to try it but totally forgot. This just reminded me that I need to try cauliflower as “wings” soon! Yes, Buffalo Cauliflower is what inspired me to start trying different flavors! i love cauliwings – i’m eating buffalo cauliwings right now! 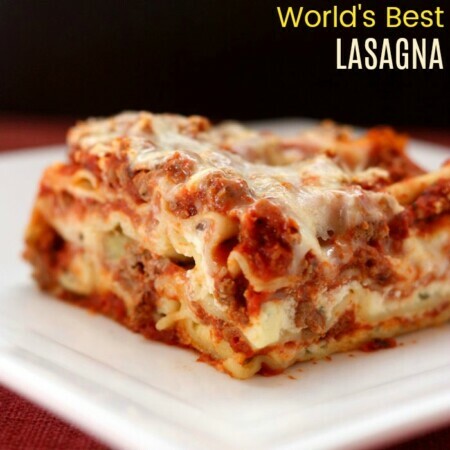 thanks for this recipe – looks delish! It’s pretty fun how easy it is to substitute cauliflower for chicken in a lot of recipes. Great idea here!